What will e-commerce look like in 2018? Retailers will try to add a social element to their online stores and work on perfecting their mobile experience in the coming year. Ecommerce is big business with Ofcom predicting online sales to reach £63 billion a year by 2020. Today, 67% of Millennials and 56% of Gen Xers prefer to shop online rather than in-store. Here, Derek O’Carroll, CEO of Brightpearl, shares his predictions for key e-commerce trends in 2018. We recently researched 350 retailers and the findings revealed that while the majority have an omnichannel strategy in place, less than 10 percent believe they are executing it well. This is a BIG issue; it’s no longer enough for retailers to have a presence across multiple channels. They must be integrated efficiently, because customers’ expectation are to be able to buy seamlessly and interact across multiple channels, using different devices. In 2018, expect more retailers to get a firmer grip on omnichannel, and use that understanding to integrate their different online platforms so they’re delivering a more consistent customer experience. Mobile commerce has been an invaluable requirement within the ecommerce marketplace for at least the last three years but its importance is accelerating massively. For example, in 2016 alone sales through mobile grew 90% with more than half of online purchases being made from smartphones. 71% of all UK adults now own a smartphone, with this figure rising to 90% among 16 to 34-year-olds. Everyone is connected and people are always online. The future of retail will most likely be completely brought to us by mobile. As a result, 2018 will see mobile browsing driving ecommerce -- and businesses must make sure their websites are mobile-friendly across devices. Buying habits will also have a greater bearing on mobile; for example, studies suggest millennials are three times as likely as Baby Boomers to have made an online purchase from bed. Retailers must look to capitalise on these habits with well-timed offers and content that’s perfected for mobile. A recent global (US) survey of business owners found that 25 percent sell through Facebook. Platforms such as Instagram are increasingly becoming a shop window for retailers too, with more than 30 percent of Instagram users admitting to buying items after seeing them in photos or videos on the app. Alongside this, more than 38 perent of 18-34 would like to purchase items directly from Instagram - and this number continues to grow. Social media is rapidly becoming a viable and vital channel and 2018 will see a tipping point for social commerce - online shopping is becoming more social and retailers must embrace this trend by integrating social commerce software with their shopping platform to make sure they have the technology in place that doesn’t punish customers for coming into that channel. Far too many retailers, of all sizes, have disparate systems in place that simply do not support real-time ecommerce. This is not a good fit to meet increasing customer demand for immediacy, especially from the millennial generation, whose buying power and influence increases year-on-year. This issue is compounded by the fact that retailers do not have access to accurate and timely information. They spend hours collating and analysing what data they have, to make decisions that can be made by AI based automated decision making in micro-seconds. Next year will be a turning point for many retailers, who will need to innovate to reimagine their customer journey, for example, using technology to bring balance to their front and back office -- an essential component to running a competitive, growing ecommerce business. 2018 will see a shift, or ‘technology transformation’, with more businesses adopting technology that enables real-time commerce and capture of detailed, accurate and timely data into single systems which will support the rapid and strategic decision-making needed to meet customer demands for instant gratification, . Customer insights are becoming much more widely available and accessible to businesses of all sizes. This availability means retailers are now able to spot patterns to segment and engage with their customers on a more personal level. You see this on sites like Amazon that suggest products based on your past purchases. In 2018, creating unique customer experiences will be at the forefront of retailers’ strategy. Targeting customers at exactly the right time with relevant communications and content will ensure online retailers stand out from the competition by offering an experience that feels tailored and personal. While the opportunity is clear, challenges will continue to persist. 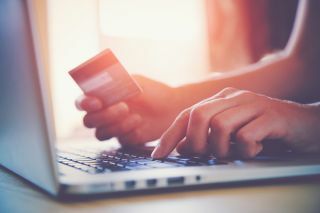 Siloed data, legacy systems, and the wealth of potential data available to retailers means many will either suffer from information overload, or struggle to properly mine data to connect the dots. I believe next year will see some retailers rising above others, using end-to-end technology solutions and accurate and clean data to form the bedrock of their personalisation strategies -- allowing for the development of more meaningful, convenient and relevant experiences for customers. Online businesses know that their customer service (and speed of service) must meet consumers’ standards, and they will need to continue to adapt to these rising expectations. Part of meeting these standards will be embracing new technologies to enhance customer service and experience, including chatbots and voice search to help buyers research shopping options, and even buy items online. Large, highly efficient online retailers led by Amazon are disrupting the economics of retail. Customer service expectations have been changed forever. Next or same day delivery is the norm and not the exception. To support this, processes must be fully automated; without it retailers cannot meet customers’ expectations and will continue to face the effects of eroding margins. When discussing automation technology, we’re not talking about robots taking over the workforce, but rather, automated processes, like order fulfilment, carrier integrations, and integrated purchase ordering, using clean data, that drive back office efficiencies -- freeing retailers to focus more time on developing their ecommerce capability and improving their customer experience in-line with expectations. Retailers who adopt the right technology to support their business will not only survive, but be in a great position to thrive as we head into 2018.